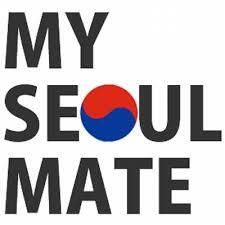 Seoul, and Korea overall, has an English slogan problem. From ‘Active Yangsan’ to ‘Do Dream Dongducheon’, Korean cities have a decidedly stellar reputation of being at least cringeworthy, and at best forgettable (full list here). Due to both Korea’s fascination with English and its rampant neophilia, it has been a longstanding tradition to come up with new slogans of poor caliber, as often as it pleases the cities (and keeps the marketing department employed). This is usually an innocuous fact of life in Korea, leading many native English speakers to shake their head or laugh to themselves whenever they come across one of these linguistic eyesores. Usually, no one cares at all. You just can’t go right from here. 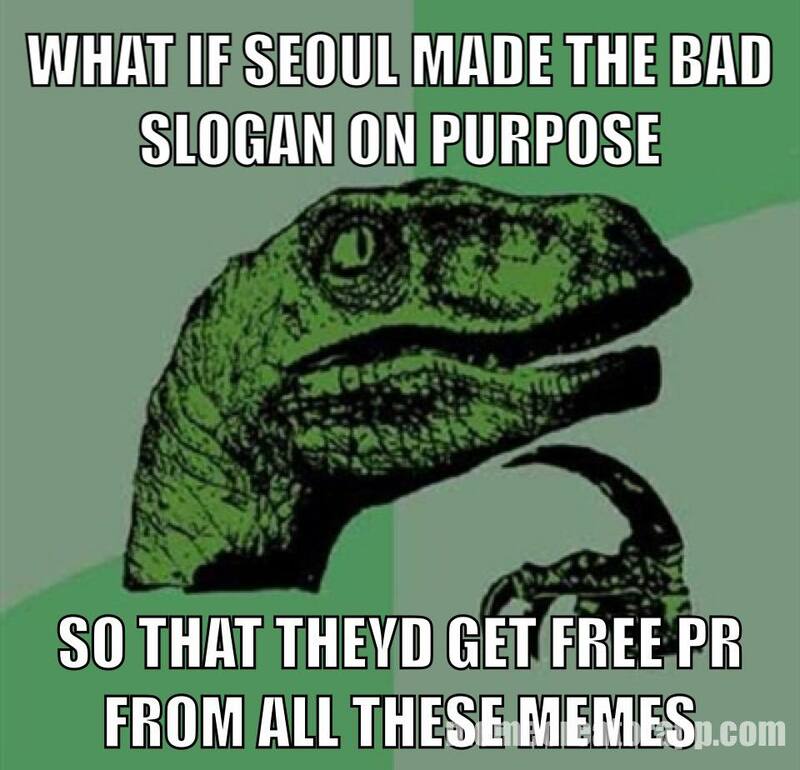 Two attempts to turn Seoul into a verb, and a wildcard pun. The English speaking community sighed collectively, and they pushed forward. Then, from these three stunningly mediocre third place contestants, the following was salvaged. 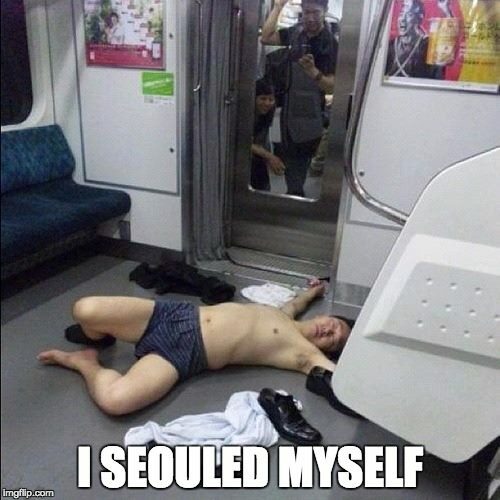 The Korea times proved that a broken clock is right twice a day with their headline ‘Seoul choosing least worst slogan’, and it seemed everyone was going to shrug it off like they did with ‘Imagine your Korea’. I was wrong about this. So very, very wrong. Internationally, and definitely within the English speaking community in Korea, this has struck a (particularly humorous) chord. Before I start with any pontificating, here are some really fun examples of lighthearted jabs at the idea of using Seoul as a verb. 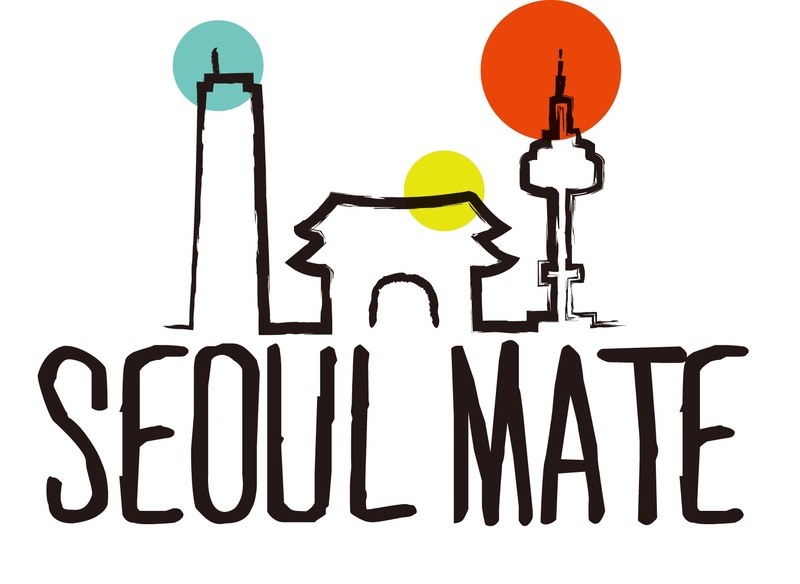 Let’s call this the ‘Top 5 face-melting parodies of Seoul’s new slogan” a la clickbait. If this were in any way good idea, they would be using something like ‘Seoul Searching’. If it weren’t a played out pun by every fresh-faced hagwon teacher, it wouldn’t be a bad slogan at all honestly. 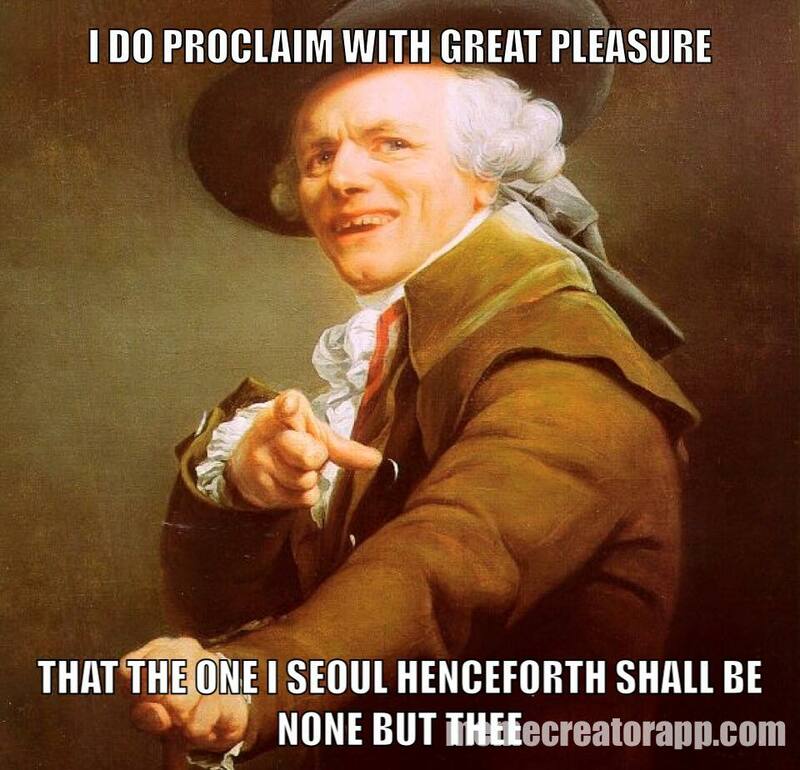 But let’s move on, for the sake of all our Seouls… *sigh*… I digress. Let’s get to what I think are the real ‘winners’ here. Let’s put these both in the same category, because they both bring about the same questions about an ultimate failure to understand everything from the nuances of English to the need for a real PR firm in aide of tourism. Sure, on its face, they’re both ridiculous. Seoul isn’t a verb in the first place, and adding present continuous doesn’t, in any way, suddenly verb a noun. That was the first reaction of most people upon feasting their collective eyes upon this dimwitted delicacy. 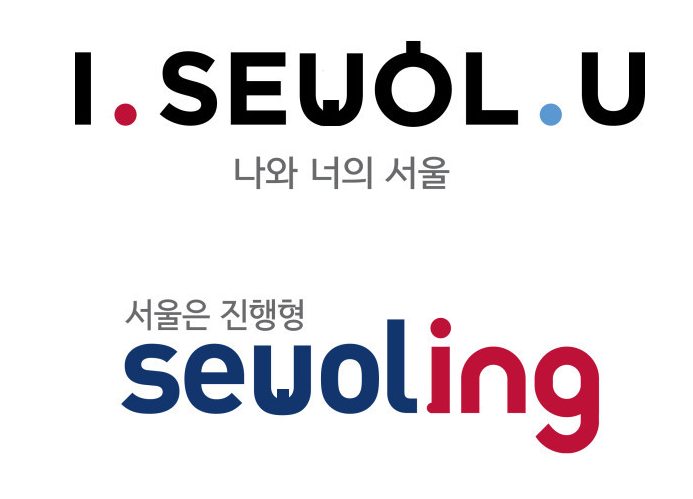 Of course, turning Seoul into a verb is an awful idea, but why? Verbing nouns isn’t itself the problem. 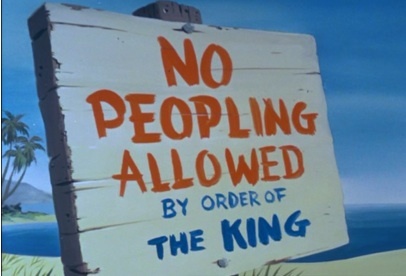 I mean, a great number of people may say “I’m tired of peopling tonight, but if you want to hang out, you can friend me on facebook”. Verbing nouns isn’t a problem at all. We do that all the time to be cute and colloquial. That’s also a problem: Native English speakers, perhaps subconsciously, don’t often give ESL learners the benefit of knowing that they are intentionally using colloquial rules of language to (attempt to) be clever. Sure, Seouling is horrible, but it would have been looked at a little differently if any Western country would have attempted this awful feat of wordplay. Speaking of that, anyone considering ‘verbing’ the name of a city should have tried to apply this to any other major city in the world. Parising, New Yorking, Londoning, Torontoing, Toykoing etc. are equally horrible. That’s where it should have started and ended, really. The same things apply to I.Seoul.U. 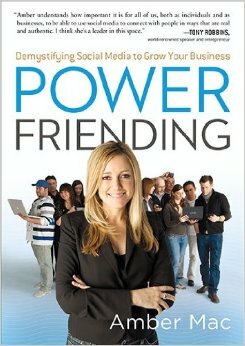 Even without the ‘ing’, we’re still talking about using the nuances of language in order to turn something into a verb. If we’re gonna verb a noun, there seems to be one rule we like to follow: It has to be self-explanatory in its reception by an audience. 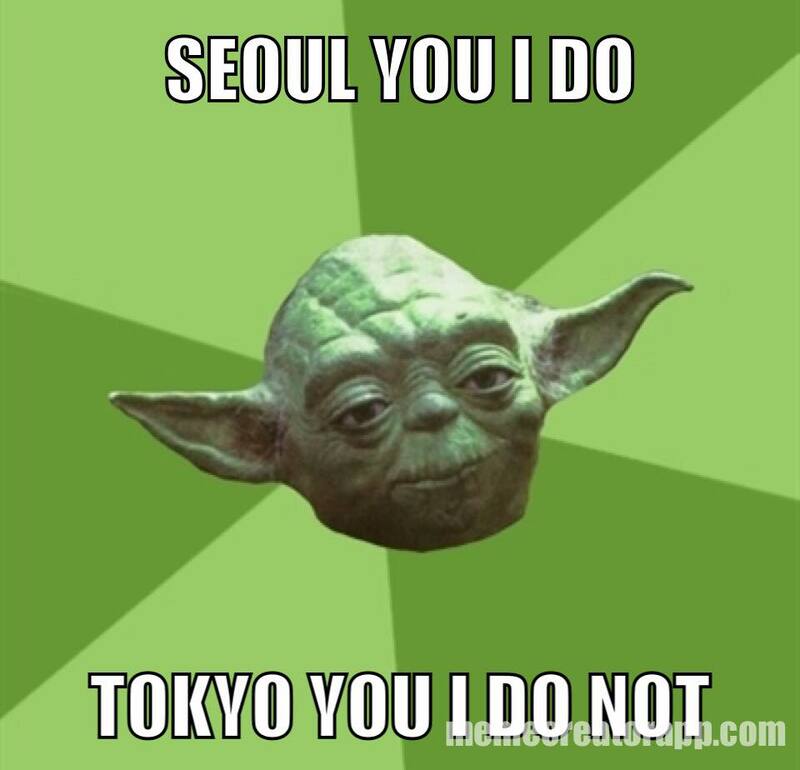 If Seoul were a verb, what the hell would it mean? And that, my friends, is where we come to my argument that this slogan is arguably the best one they could have chosen. I’ve obviously laid out many reasons why it’s grammatically/culturally/marketing-wise a terrible choice. 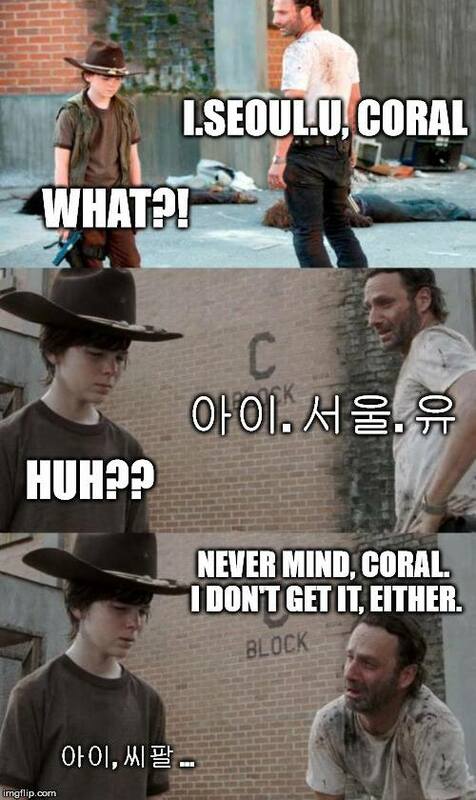 We already know why verbing Seoul was the worst choice. So, why is it the BEST choice? Also, In their hastiness, ineptitude and deference to authority for its own sake, Seoul has done something magnificent: They have entered a funhouse mirror room that is Korea expat experience and had a ghastly look at what they saw. 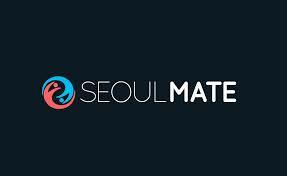 Sure, there were jokes centred around linguistics, but through all the collective snickering of the community, they have shown what they believe the image of Seoul, and perhaps Korea, to be. Results were at times…unsettling. …to serious issues of Nationhood. I will, for the sake of charity, assume that they are all secret geniuses who are conducting a sociological experiment on perceptions. 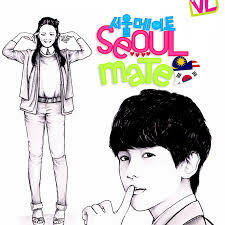 Their brilliant goal, lofty as it was, was to ask “If Seoul were a verb, what the hell would it mean?” And they did it. They may have saved themselves millions of dollars worth of data collection and research and reached out to the collective brainpower of a foreign community. They would’ve also succeeded in starting a conversation about the image of both Korea and Seoul with their foreign residents about how Korea is viewed by an international audience. Not an easy task. The price tag was steep, though. For about $436 000 USD, they could have done it for free with the wrong tweet! 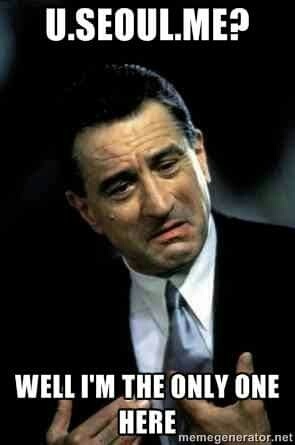 Ask McDonalds, Red Cross, or any number of other corporations. It might be a tall order for a corporation still grappling with tourism slogans as a top priority, but social media could save them a fortune if they had used it right. This is not a failure. Nay (네), this is an opportunity. 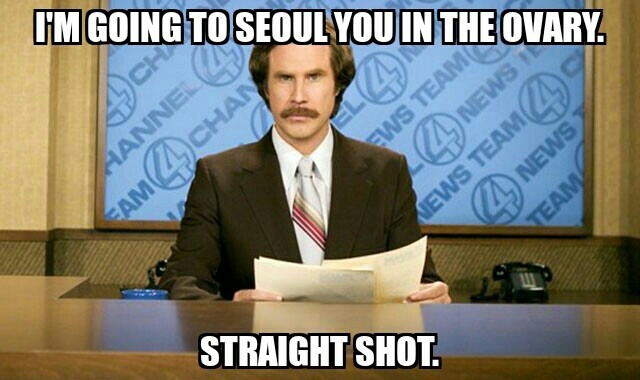 Take heart Seoul, we still Seoul you, we just want you to stop Seouling up so much. P.S. 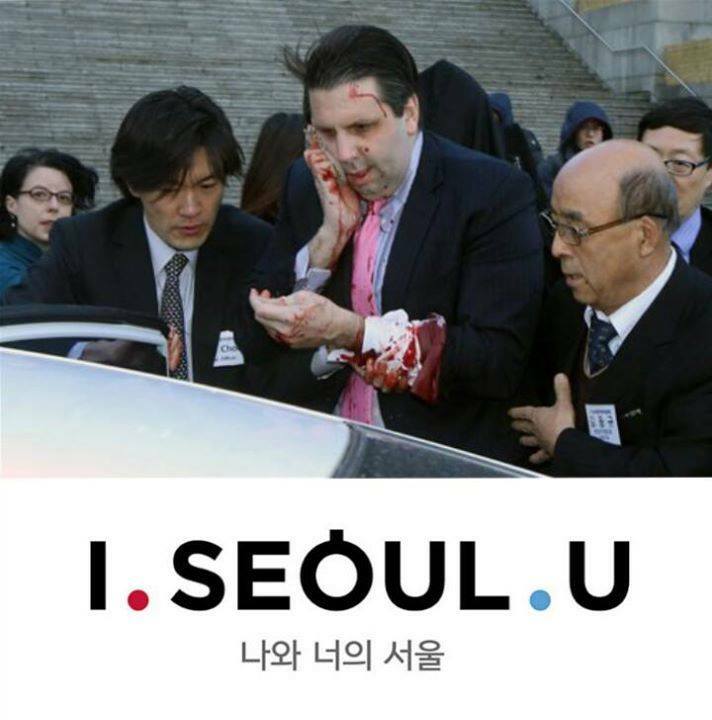 Feel free to leave your best “I Seoul U” meme at the bottom of the post or tell me what Seoul would be if it were a verb! I’ll use the best ones on my blog! *(Note to new people: Welcome. I’m sure you’re having a great time. Feel free to write a blog about your zany adventures about the time you went to the most frequented temple in the country or your temple stay. 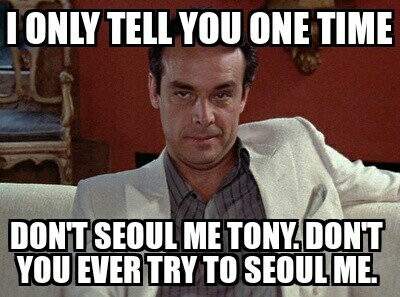 That being said, any Seoul puns immediately disqualify you from being anything but patted on the head, best case scenario). ← Korean Expat Facebook Bingo!